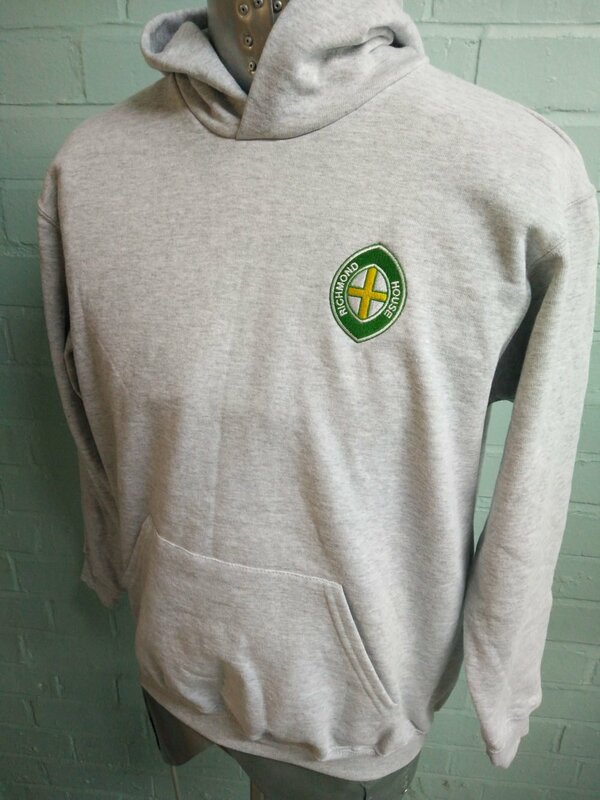 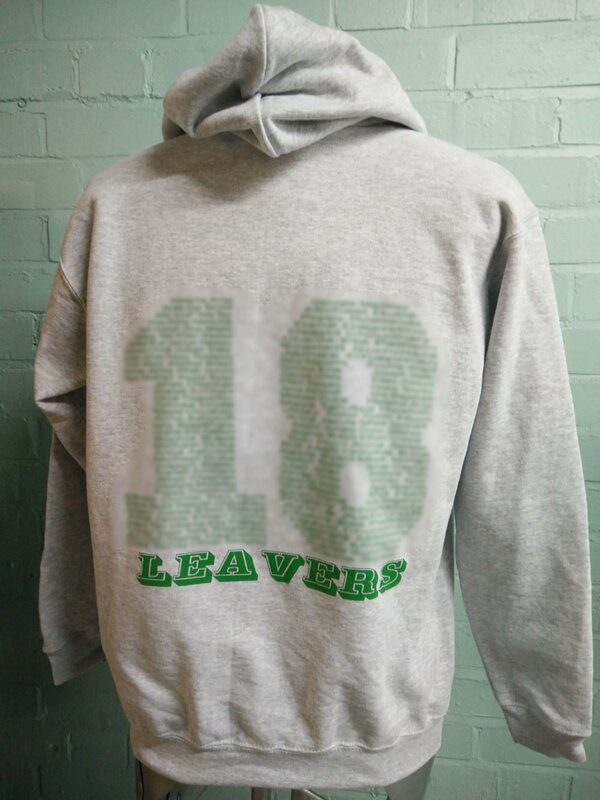 Great idea for Richmond House are these grey marl leavers hoodies which have a combo of yellow and green print and custom embroidery on them. 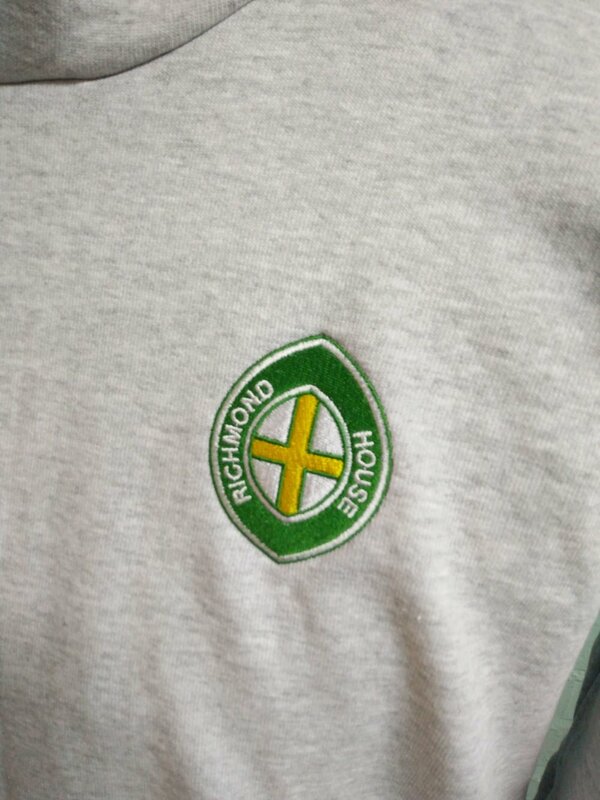 On the front we’ve got their custom logo in yellow and green stitching, all custom. 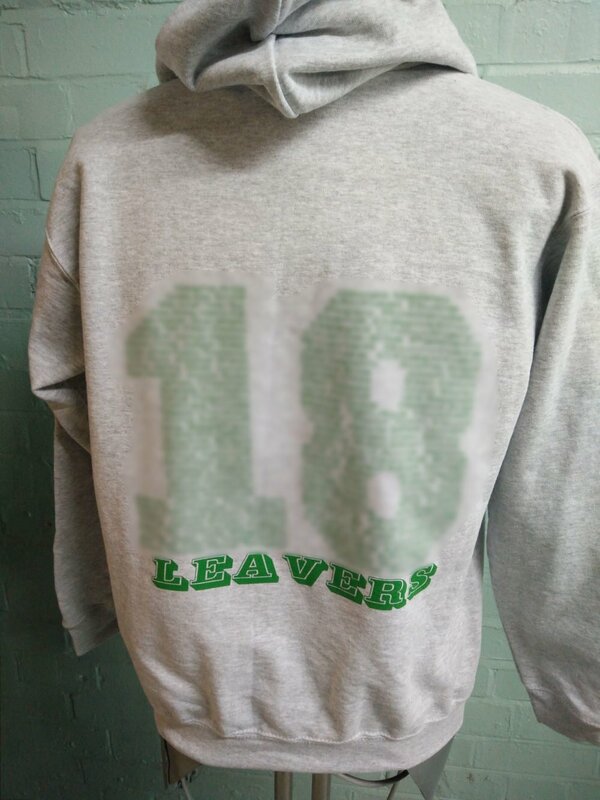 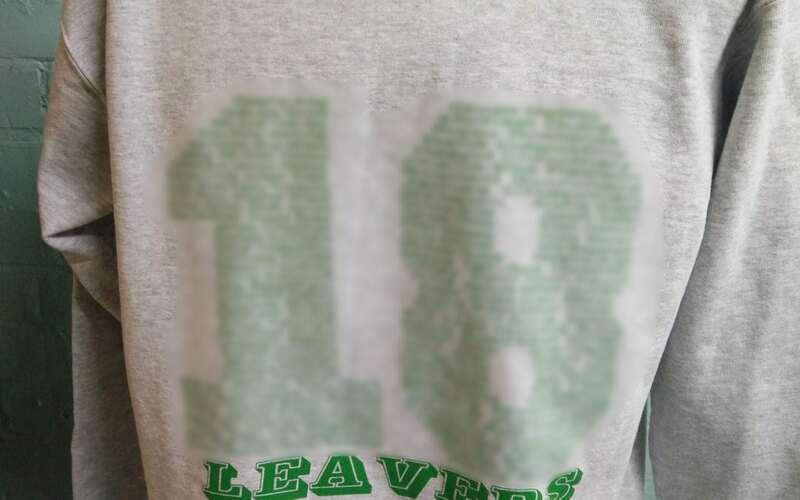 Then on the back they have chosen green custom 2018 Leavers print.